This year's Los Angeles Lymewalk is being held in conjunction with the Worldwide Lyme Awareness Protest and LymeDisease.org. Help focus attention on the global risks of tick-borne diseases and raise money for Lyme disease research. Dana Walsh, featured in the award-winning documentary UNDER OUR SKIN, is among the speakers at this year’s Los Angeles Lymewalk, to be held noon to 4 pm on Sunday, May 18, at Palisades Park in Santa Monica. Also speaking at the event is Mara Williams, author of the Lyme book “Nature’s Dirty Needle.” She has seen both sides of Lyme disease, as a medical professional and the mother of a gravely ill daughter. 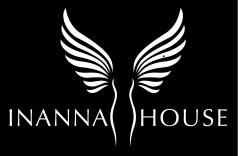 Williams, a certified nurse practitioner who specializes in treating tick-borne illnesses, says, “I understand in every fiber of my being how devastating this illness is for the patient and their loved ones.” She is the driving force behind Inanna House, a planned in-patient Lyme treatment center open to anyone, regardless of ability to pay. Can't Make it to LA? Recognition that Lyme disease/borreliosis, and other tick-borne infections, such as Babesia, Bartonella, Rickettsia, Ehrlichia, are serious, and sometimes fatal illnesses. Awareness of the fact that the transmission of tick-borne pathogens, such as borrelia, babesia, rickettsia, via blood transfusion is of global concern. Agreement that Lyme disease/borreliosis should be listed as a notifiable infection. Notifiable status will aid in ensuring that the incidence and spread of this disease are monitored, a necessary precursor to determining the human suffering and socioeconomic impact of the disease. Education of the healthcare sector regarding the accurate diagnosis of Lyme, which in some cases may be limited to clinical presentation due to limitations of serological testing. Education should ensure all doctors are familiar with the CDC caution pertaining to criteria for blood tests for Lyme: "This surveillance case definition was developed for national reporting of Lyme disease; it is NOT appropriate for clinical diagnosis...Surveillance case definitions are created for the purpose of standardization, not patient care." Education that Lyme should be included as a differential diagnosis when considering other illnesses that are also reliant on subjective clinical presentation, or have no known cause. This includes, but is not limited to: Motor Neuron Disease (MND) also known as Lou Gehrig's disease or Amyotrophic lateral sclerosis (ALS); Multiple Sclerosis; Alzheimer's; Parkinson's disease; Sarcoidosis. Funding for research into tick-borne diseases. Including: Funding for medical research into accurate Lyme testing and treatment; Funding for research into vectors and reservoir hosts to determine what diseases they may carry and transmit.